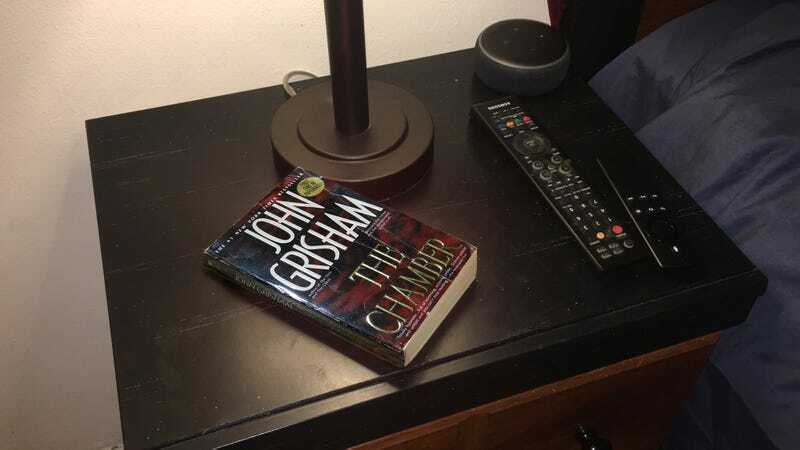 Here’s an exciting development that will brighten the day of anyone who knows Dad: Dad just finished the book that’s been on his bedside table for the past 23 years! Since finishing The Chamber, Dad has wasted no time moving the book from his nightstand to the bookshelf in the basement where he keeps a bunch of personal finance guides and home bike repair manuals from the early ’90s. While he still has yet to settle on a new book to spend the next two decades reading, it’ll be curious to see whether he goes for something familiar, like another Grisham book, or if he steps outside his comfort zone with something different, like a Tom Clancy book. Whatever happens next, finishing a book is nonetheless a pretty awesome accomplishment for Dad, and everyone in the family is very proud of him. We hope you enjoyed the book, Dad!